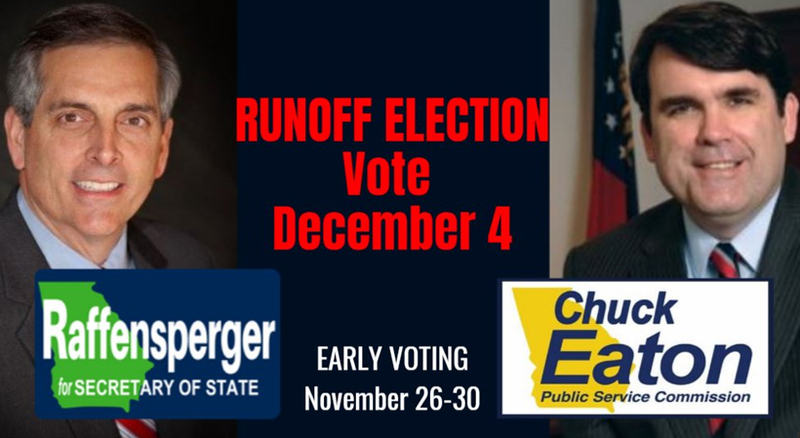 We face a very important runoff of Secretary of State and Public Service Commissioner on December 4, 2018 with Early Voting November 26-30. In spite of record numbers of Registered Voters and record Voter Turnout, Stacey Abrams has still not officially conceded and is threatening a major Federal Court challenge claiming “unfair practices” in Georgia which follows long established Voter Laws established under past Democrat Administrations and approved by the Supreme Court. We need to Get Out The Vote and Elect Brad Raffensperger as Secretary of State. He has Brad Raffensperger has vowed in his campaign to assure that Georgia’s Voting System remains “Clear, Fair and Accurate” and he will be a strong Team Player in the new Governor Kemp Administration. Chuck Eaton, Chuck Eaton has served on the 5 member Public Service Commission since 2006 including two terms as Chairman. He has delivered for Georgia with our Energy rates below the national average and with working with the Governor in creating over 700,000 new jobs in Georgia. 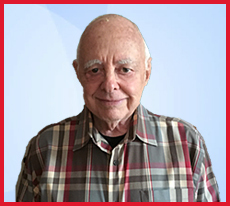 His opponent, a principal in a renewable energy company, has held no prior elected position.